--Select Salutation-- Dr. Mr. MR. Mrs. MRS. I, the applicant, state that all information given above is true and correct. 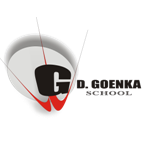 I understand that submission of the Application Form is a preliminary step in the selection of teachers at G.D. Goenka Public School and does not guarantee a job. I agree to abide by all decisions taken by the school management.